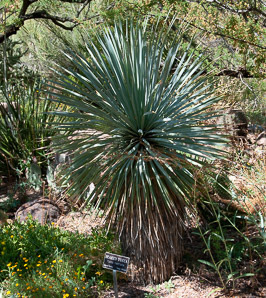 Yucca rostrata Engelm. ex Trel. var. linearis Trel. 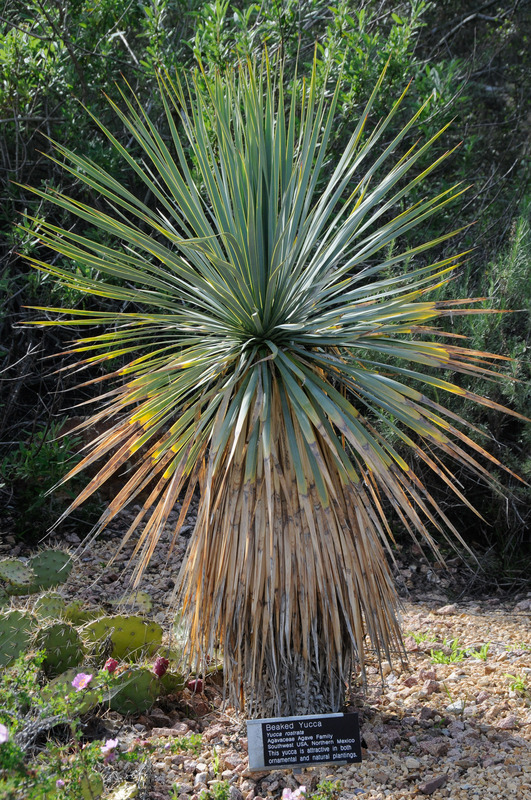 Beaked yucca is a native of Texas. 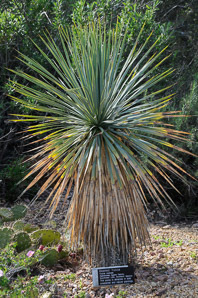 Identification: Beaked yucca is a small tree 6-12' (1.8-3.7 m) high and 6' (1.8 m) wide, with a trunk that is sometimes branched. Leaves emerge in a spherical shape from the tips of the trunk(s), with dead leaves forming a skirt around upper portions of each trunk. The stiff leaves, narrow and swordlike, 8-24" (20-60 cm) × ½" (1.3 cm). Leaf edges are hard, pale yellow, often with fine teeth. Flowers are white, round to bell-shaped, on 24-36" (60-91 cm) stalks above the leaf clusters. Seed capsules are 1-2" (3-6 cm) long × ⅜-¾" (1-2 cm) thick. It is possible that the closely related Yucca ridigda is the same plant. 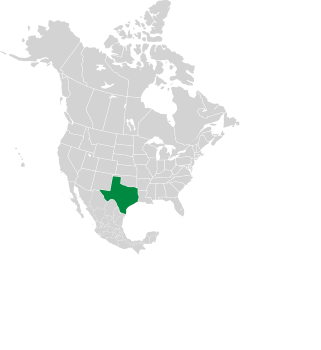 Yucca thompsoniana description by Thomas H. Kent, last updated 2 Jan 2019.